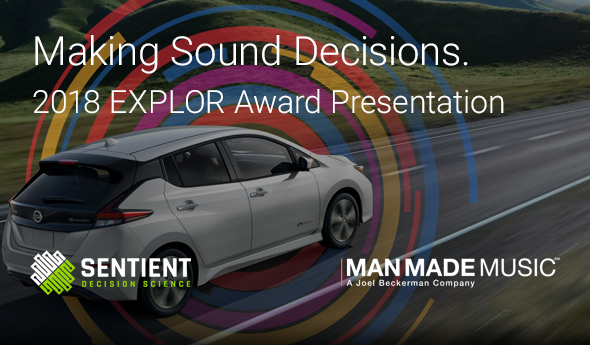 We’re excited and honored to announce that Sentient Decision Science was selected as the winner of the 19th annual EXPLOR Award for our work with Man Made Music on the development of their SonicPulse® Research offering and the sound for Nissan’s future fleet of electric vehicles. The EXPLOR Award is an annual case study competition honoring innovation in marketing research. Innovation leaders from global corporations, research agencies and academia are invited to submit high-impact case studies where technology or new methods have advanced the research and insights process. 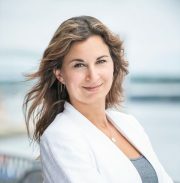 A global, world-class judging team selects finalists, and the winner is chosen through real-time voting at the Insights Association’s Corporate Researchers Conference (CRC). See the full video of yesterday’s EXPLOR Awards presentation and a look at the work that lead up to this win!